As part of the hurricane harvey reconstruction, SERVPRO assisted with the restoration of Cullen Maintenance Barn. Hurricane Harvey caused critical damage to many properties around the city of Houston! Cullen Maintenance Barn was one of many locations harmed by the storm. The restoration workers restored all areas of the facility including: The break room, file room, front desk, meeting rooms, bathrooms, offices and sink room. Our restoration workers began immediately extracting water from the facility to prevent any further damage. Our custom professional equipment allowed us to dry the facility as well as discard the damaged flooring and insulation that was in the building. Additionally, all valuables inside the building were removed. If requested, we inspect the facility and distinguish the salvageable items from the non salvageable. Once they are divided, the salvageable items are cleaned and restored for the customer. 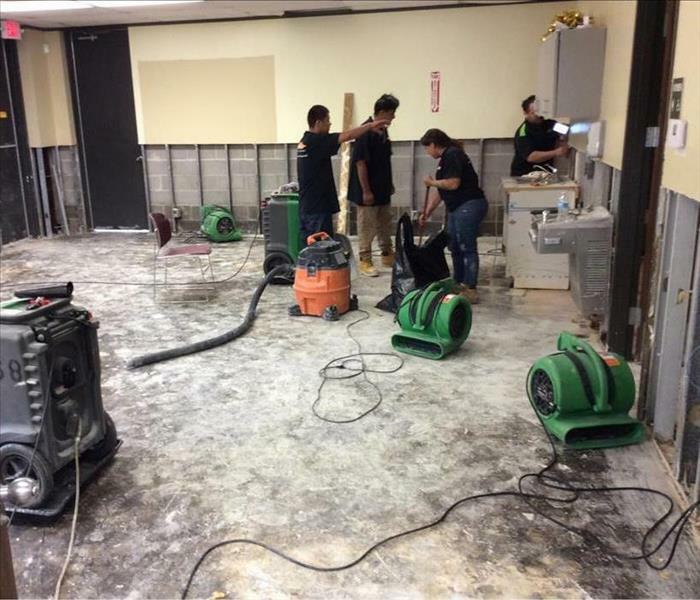 The City of Houston Herbert W. Gee Municipal Courthouse contacted SERVPRO due to a water loss that occurred in their employee bathroom. SERVPRO arrived to the building and immediately inspected all possibly affected areas. After scoping the damaged areas, they performed a moisture check to detect how far the water migrated. The water loss affected multiple rooms within the courthouse, causing standing water in the mechanical room, bathroom and conference room. SERVPRO’s highly trained restoration workers extracted water from all of the affected areas with specialized drying equipment. Additionally, they removed the cover base, drywall and insulation. Along with moving the insulation, they moved all personal items affected by the water to a dry and secure area. Houston Water Works called SERVPRO on the scene after experiencing flooding at their facility. Air movers, dehumidifiers, generators and extension cords were used to mitigate the flooding issues on the first visit. SERVPRO returned to the facility several times to examine the drying levels. On the second return, a moisture test was ran. The building failed the drying goals causing our technicians to manually discard the water and leave drying equipment running in the facility while they were away. When they returned for the third visit, they performed an additional moisture reading. The affected areas still did not reach drying goals which caused 149 fans and 50 dehumidifiers to be left on the scene. On the final visit, the technicians inspected the affected areas and found most areas were dry. Nonetheless, some areas of the building failed the drying goals due to the customer deciding not to demo. SERVPRO caters to the customer’s needs, no matter the request. Give us a call at 281-219-8180 if you experience damage to your home or property. We’ll be there in a hurry, ready to serve you! Mold Damage in a Kingwood, TX home. How To Assess Mold Damage? A complete mold assessment involves determining the type of mold and extent of growth. Accurate analysis can be difficult and risky for non-professionals. Here are a few measures homeowners can take in preparation for an expert assessment. A musty odor may indicate the presence of hidden mold. This odor originates with microbial volatile organic compounds, which are off-gases released during the fungal growth cycle. 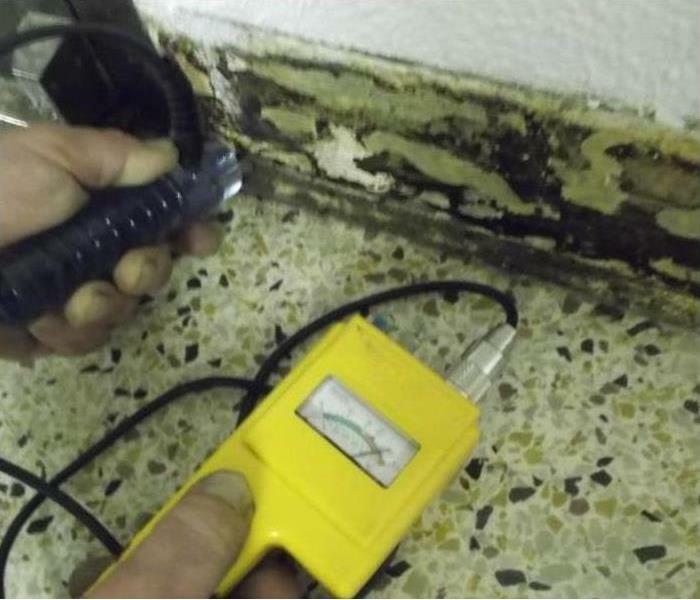 An environmental hygienist or mold specialist can contribute to an accurate mold assessment. Experts may take air or spore samples for lab analysis to determine which types of mold are present, such as black mold or more than 100,000 other species. Mold is a common type of secondary damage that results when water damage is not properly mitigated. It is important to remove standing water and residual moisture to prevent fungi from starting to grow. Mold remediation experts can determine the extent of an infestation. A minor mold problem covers less than 10 square feet and is accessible without opening large sections of closed surfaces. Major problems affect larger areas and may involve hidden mold or black mold. Most chemicals intended for clearing a clogged drain are corrosive and toxic. Depending on pipe materials, drain cleaners may degrade plumbing in a residence in Humble, TX. Enzymatic drain treatments are less damaging, but also work more slowly. 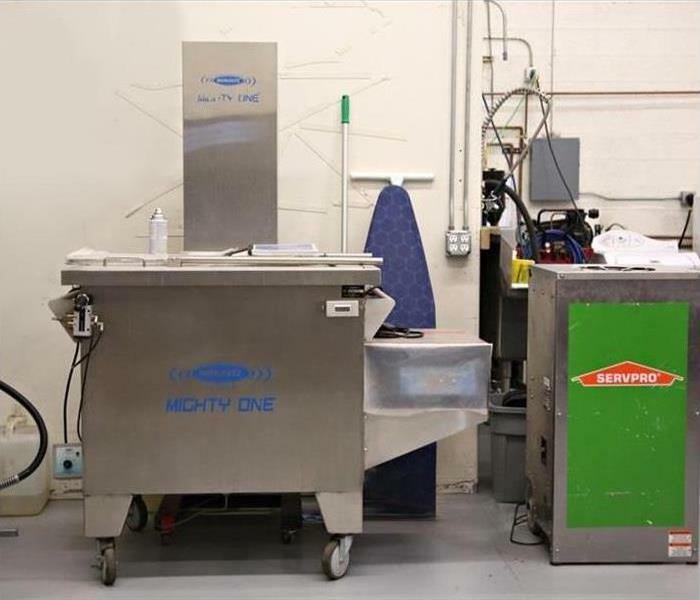 Learn more about how acidic, caustic, and oxidizing cleaners work to determine the most effective sewage cleaning method. Acidic solutions attract electrons, while caustic solutions give electrons to the clog. Both of these types of cleaners release heat. Sodium hypochlorite oxidizes the clog and releases electrons, heat, and gas. A fully clogged drain should be cleared mechanically. Enzymes restore the bacterial balance of a drain line, which can prevent clogs. These treatments should be used before a drain slows or clogs. Flush mainline enzymes down a toilet twice a month to start and then once every three months. Clear sink or shower drains by pouring enzymes down the drain once a week for a month and then once a month. Which Treatments Are the Most Effective? 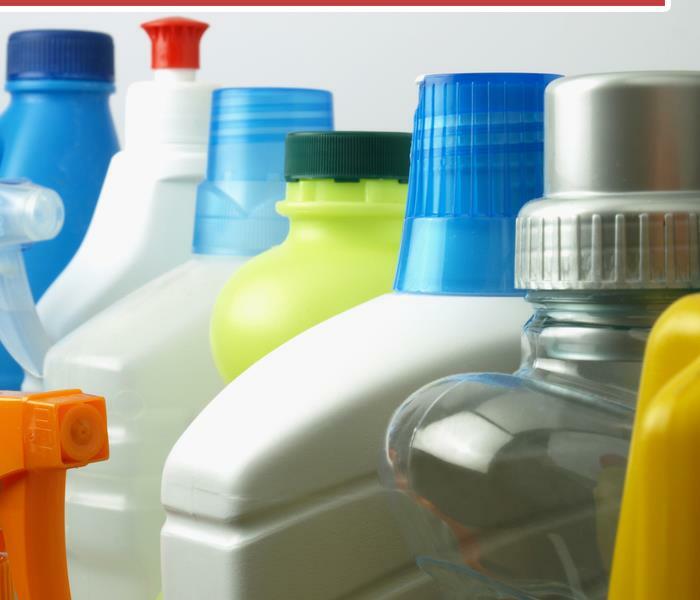 Chemical drain cleaning solutions work quickly to speed up a slow drain or clear a partial blockage, but these products may also damage pipes. These substances are also highly toxic to humans, domestic animals, and the environment. When used as directed, enzymatic treatments are safer and can keep clogs from forming. In the case of a completely clogged drain, it is better to call a plumber than use treatments that may fail to break up a blockage or sit in pipes and cause damage. If a clog results in a backup and sewer damage, contact a sewage cleaning company in Humble, TX. After a Commercial Fire: What Now? As a business owner in Kingwood, TX, you need to be prepared for the consequences of a commercial fire. You should be ready to deal with possible expenses due to the cost of fire restoration and time lost while your business is closed. Luckily, you can greatly minimize the loss of time and money by taking the following steps. Contact your fire insurance company right away to let them know what's happened. The sooner you can file a claim and get an adjuster out to look at the damage, the sooner they can release the funds you need to get your building repaired and restored. Next, you should seek out the services of a fire restoration company. These professionals can come out immediately to do any needed emergency repairs and make a thorough inspection. 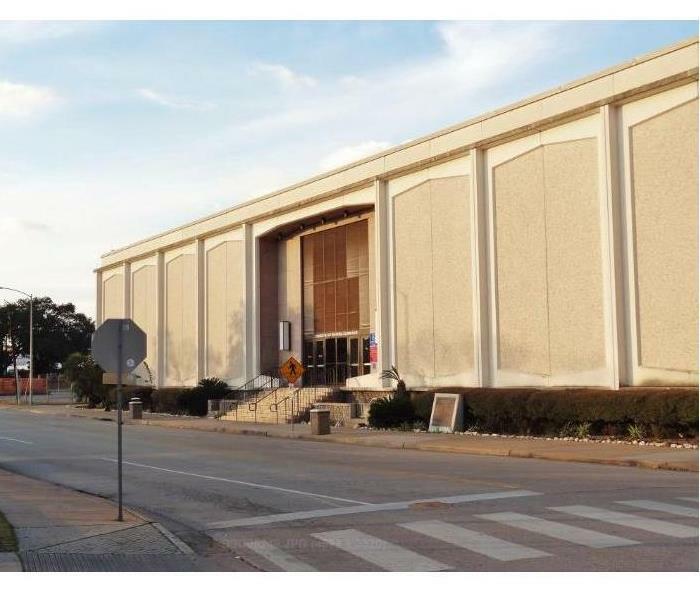 They will then begin the process of removing any excess water left behind by fire hoses, smoke cleaning, and repair and restoration of the building. When you can enter the building again, take care to wear a breathing mask to protect yourself from lingering smoke. Make an inventory of equipment that's been damaged, such as computers, phones, important documents and any other items. The insurance company will need this information for any possible reimbursement. Try to salvage as much equipment as possible. Much of it may be usable after a careful professional cleaning. It's a good idea to hire a forensics team to determine if there was any foul play. If there was arson involved, your insurer needs this information. If a guilty party is found, they may want to file charges and recover their costs. Hopefully, you won't ever have to deal with fire restoration in your place of business. But if so, you'll be ready to take quick action by using the information outlined above. Think back to when your heater was still new. It may not have been completely silent, but because it was new, you were certain that the sounds you heard were normal. Then, one day, your heater began to make new sounds. It started to complain. Its first word may have been pop or click or buzz, but it was trying to tell you something was wrong. Diagnosing heater problems by sound is an art. A professional plumber knows what your heater is complaining about. What follows are some common sources of and solutions to heater problems. Gas and oil burners require special consideration. Safety is always a concern. Where there is a flame, there is a risk of fire or carbon monoxide poisoning. Burner problems are not common but are important to understand and consider. If your burner shows any indication of a problem, call a trained professional immediately. Sediment is a common source of heater noise. 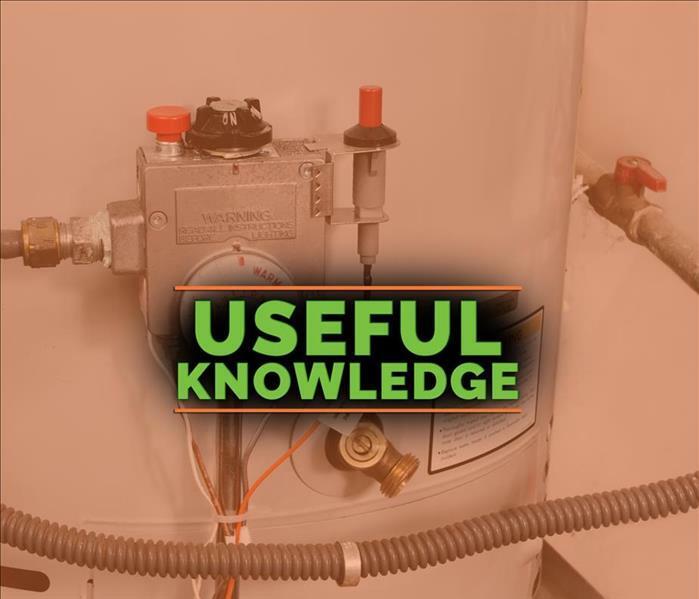 Most sediment is sand or any solid material that finds its way from your well or water main into your water heater. Even in Kingwood,TX, there is no way to avoid it. The noise comes from the water moving around the heating element and dislodging the sediment. Performing a water heater flush should eliminate this problem. Mineral deposits can interfere with the operation of safety devices. Hard-water mineral deposits can foul pressure relief valves and backflow preventers. Noise from those devices may indicate a mineral buildup and suggest that the tank needs to be de-limed. Inspecting, flushing and de-liming a water tank will help eliminate many causes of failure. Still, tanks can fail. When that happens, local water damage specialists can quickly deal with the flood and return your home to its former condition. It starts with a phone call. How Can You Minimize the Risk of Space Heater Fires at Home? If you stop and consider the ways in which your Humble,TX, home may be at risk for fire, you could come up with a startling lengthy list. Near the top of the list of these potential causes is the dreaded space heater. A burned space heater can be a nasty culprit for disastrous fires. Understand how these heaters can causes fires and what you can do to eliminate the risks. While it’s true that space heaters are common causes for fires and need for smoke cleanup, reducing fire risks doesn’t have to be complicated. In fact, with a few simple steps, you should be able to avoid a burned space heater in most circumstances. • Turn off your space heater if you leave the area for an extended period. • Leave plenty of space around the heater. A space heater can be your best friend on a cold day if your furnace isn’t working well or if you don’t have one. You may be thinking leaving it on all day will help warm up your home faster and more effectively. However, this will only increase the likelihood of it having problems or starting fires. When you leave your home, or if you don’t plan on being in a certain part of your house for a while, turn it off. Don’t put off this important step. Keep extra filters handy and replace them as they become dirty. When in doubt, consult your owner’s manual. It’s better to change it out unnecessarily than to leave it in too long. Don’t put your space heater in a cramped space or near blankets. Also, don’t plug in multiple space heaters in a single outlet. If your space heater does cause a fire, get in touch with a professional smoke cleanup crew right away. However, if you follow these guidelines, you shouldn’t have to worry about fire or smoke concerns from a burned space heater. Bursting pipes are not fun. This is especially true when your business and livelihood are at stake. If you ever find yourself facing one or more broken pipes at your commercial property, there are steps you can take to keep mold and secondary damage at bay. Here are three steps and how to accomplish them with the help of trained technicians. Make sure that the first thing you do after water damage in Houston,TX, is cut off the water supply to the damaged area. This will stop any flooding in its tracks and prevent more extensive destruction from occurring. This will leave you in a less frantic, more levelheaded place so you can carefully consider your next steps without worrying about taking any immediate action. The next thing you should do is call your local water damage remediation service. The trained professionals at your local company should be able to arrive quickly, survey the damage and form a restoration plan. If the damage is beyond their expertise, they may be able to suggest other solutions. Otherwise, they will likely get started on cleanup and recovery as soon as possible. Make sure that the next thing you do is fix the broken pipe or pipes that started the problem in the first place. A trained repairperson should be able to get your plumbing system back on track in no time. Then you can focus on any final remediation steps that either you or your water damage restoration company will complete. The most important thing to remember when you are facing bursting pipes at your Houston,TX, business is that quick action is key. You want to take every chance you can get to reduce damage and increase the likelihood of an easy restoration and repair process. If you should ever find yourself in such a situation, follow the steps above, stay calm and always make sure that the professionals you work with keep you updated about their plans. 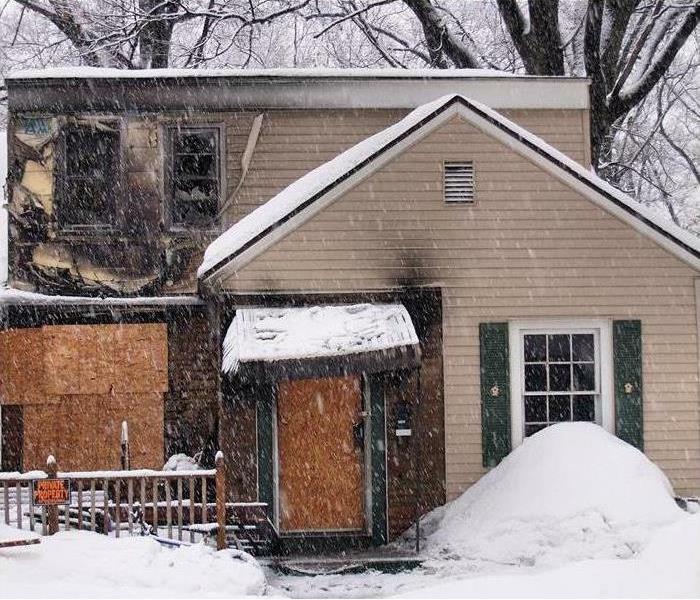 Fires in a house can even occur on that unusual snowy day? Many residential owners are amazed by the post challenges they are faced with after property fire damage in their Kingwood homes. Fires are deadly and capable of causing a great deal of property loss; therefore, as much information as possible must be collected. This information will increase the chances of making a speedy recovery. The following is a collaboration with a FEMA report, offering several helpful fire restoration tips. Contaminated dishes, food and eating utensils are considered damaged items, since they have the potential to cause serious illnesses. Have these items inspected by a fire restoration service prior to using them again. If they are unusable, throw them away. 1/24/2019 - How Can Homeowners Assess Mold Damage? 1/16/2019 - Do All Drain Cleaners Damage Pipes? 1/9/2019 - After a Commercial Fire: What Now? 12/31/2018 - How Can You Minimize the Risk of Space Heater Fires at Home?